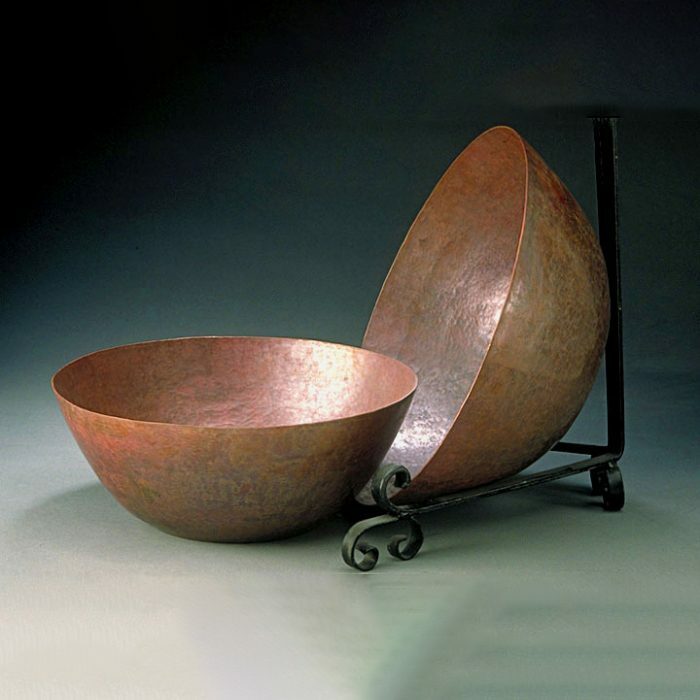 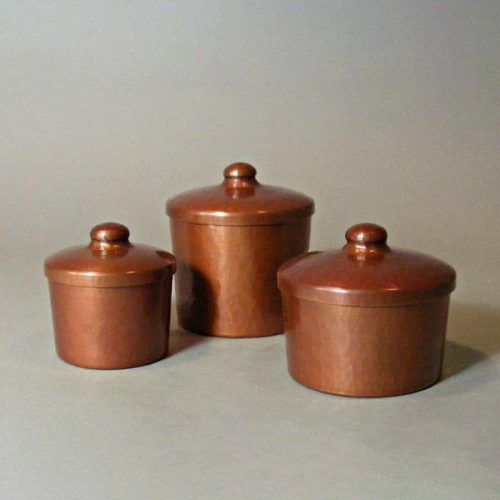 This hammered copper bowl was inspired by the “Paul Revere Pottery” and makes a wonderful centerpiece in two sizes. 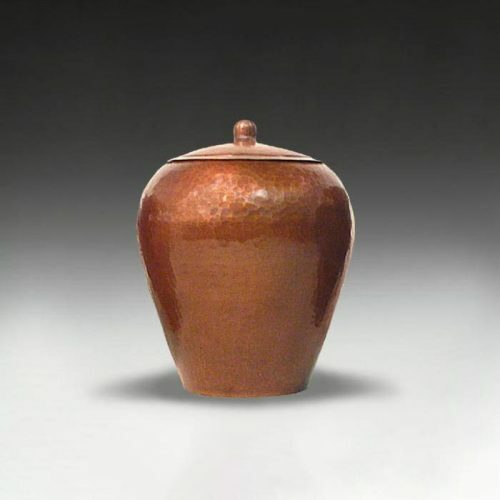 The Paul Revere Pottery studio was active during the turn-of-the-early 20th century. 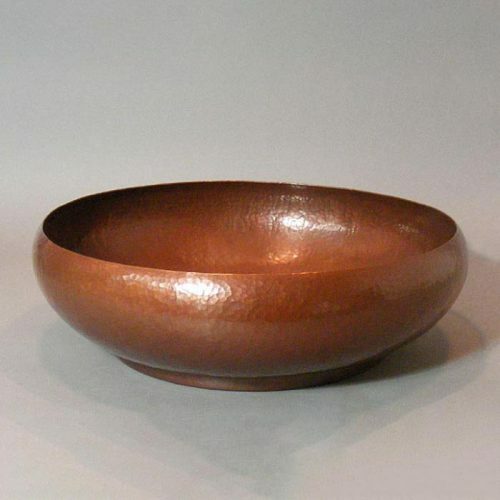 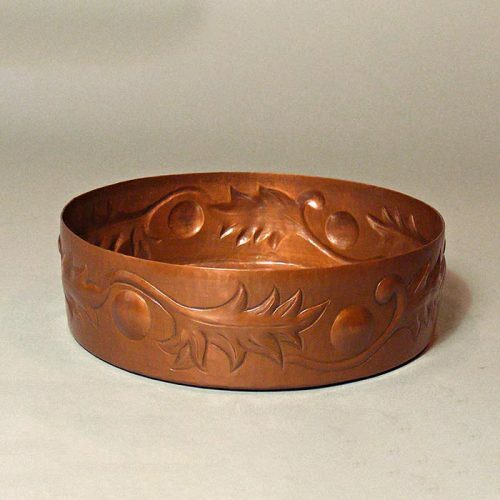 Click additional images to see this copper bowl used as a fruit bowl. 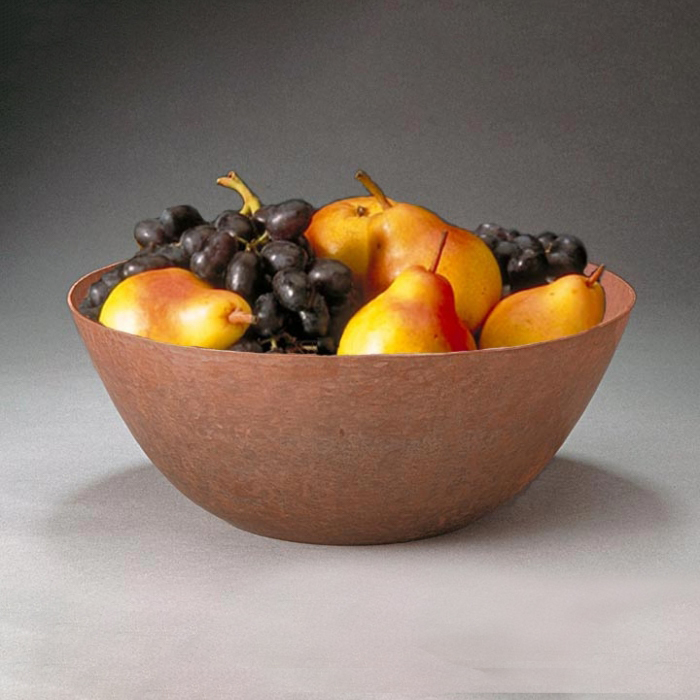 We have a 12″ bowl in our kitchen and it’s always full of something!